Hand sewing is one of those skills that every person can benefit from learning. With a needle and thread, you can mend clothes and make simple repairs. Beyond that, you can use hand sewing for a variety of sewing projects, including toys and decorative items. If you don't have a sewing machine available or a place to plug it in, you can still stitch up something and keep your hands busy. If you are new to hand sewing, easy projects can help you develop your skills. If you have kids or other beginners, these can be ways to teach them hand sewing. Hand sewing involves a variety of stitches and techniques. 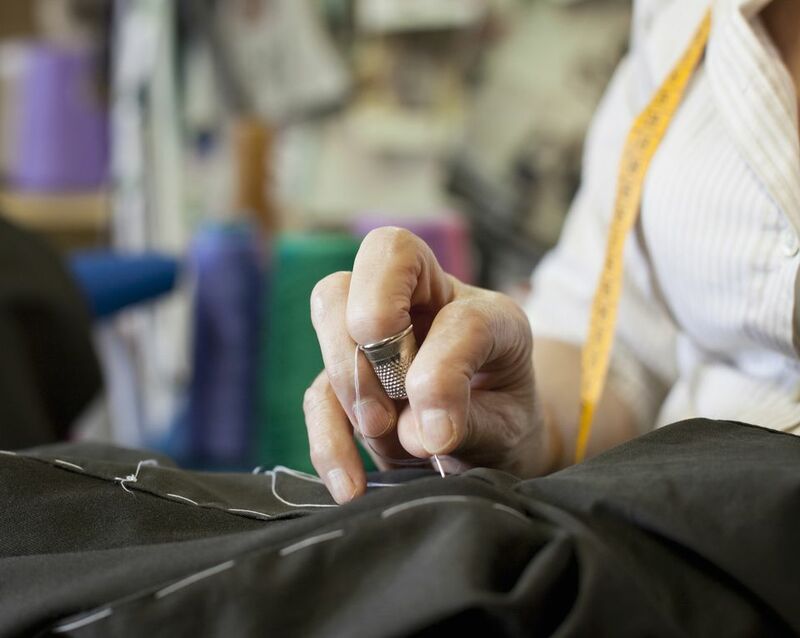 Learn the different hand sewing stitches such as the utility back stitch, the slip stitch for making hems, and basting. Decorative stitches include the blanket stitch and chain stitch. Also be sure you know tricks for threading the needle and knotting off when you are done. You will use these skills often in life for repairing seams, hems, and loose buttons. 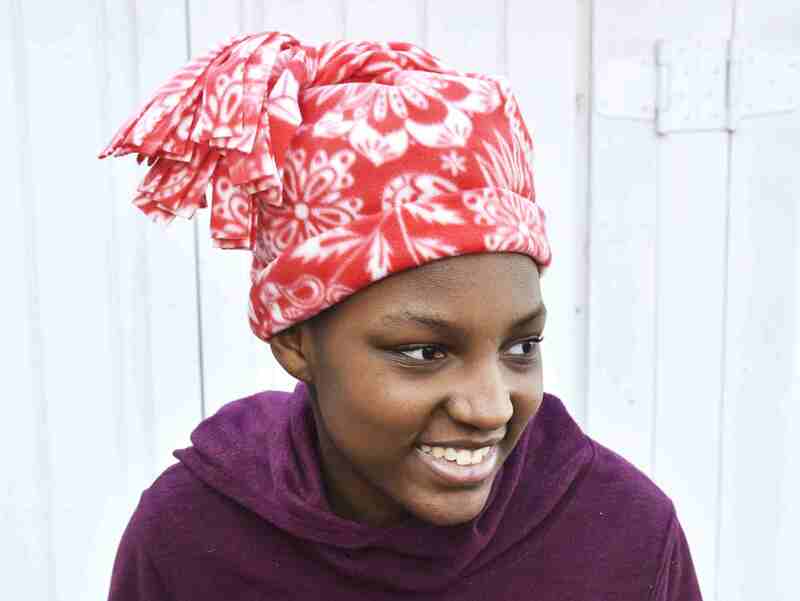 You can make this easy fleece hat with hand-sewn seams or use a sewing machine. When you visit the fabric store you will see many fun fleece patterns that will make you want to whip up this hat. This is also a great project to make for charity hat programs for cancer patients and those who need assistance. You can make a polar fleece blanket very easily. This snug fabric is self-hemming, it doesn't fray when cut. You can use a simple blanket stitch around the edge of a piece of polar fleece to add a decorative trim. Then you can embellish the blanket further if you wish with embroidery or appliques to personalize it. These make super holiday gifts or a great gift for a college student when made in the school colors. Making fabric yo-yos is a great skill to master with hand sewing. These colorful items can be used to make or decorate doilies, quilts, Christmas ornaments, and more. This simple hand sewing project uses scraps of fabric cut into a circle. Use economical fabric sources to obtain a wide variety of colors and types of fabric. Get your kids involved to learn hand sewing techniques. Use hand sewing to make a yo-yo clown doll. Use up your fabric scraps with this fun project. Your creation may become a treasured heirloom and can make a personalized gift for a baby shower or birthday. Make a catnip mouse toy for your feline companion with this easy hand sewing project. You will use felt and embroidery floss. It is another project suitable for kids to learn hand sewing while also allowing you to practice your hand sewing skills. Dress up dolls with a hand-sewn nightgown. This can be a fun project to do with your child. You can pick out the fabric and trim together. It's easily done for dolls or stuffed animals of any size. Hand sewing skills will be useful throughout your child's life. This is a great way to learn and practice them together.